Our trip to Chile is coming to an end. We’ve been here almost three weeks and have enjoyed a trip to the most arid desert in the world, plus lots of sightseeing in Santiago, the country’s capital, where we’re staying. Where are we staying, exactly? Santiago has tons of AirBnBs, hotels, and hostels. But we didn’t want to spend money on those options when Mr. ThreeYear’s whole family lives here. So we’re staying in… our apartment! Thirteen years ago, Mr. ThreeYear and I bought an apartment for his mom to live in, right before we left Chile to live in the US. All of the details of our purchase and payments are detailed in this post. The apartment is located in one of Santiago’s 37 comunas. We’ve argued about the best way to translate this word, but I think they’re best described as neighborhoods, although they are official units of governance within the city. Mr. ThreeYear says the correct translation is municipalities. 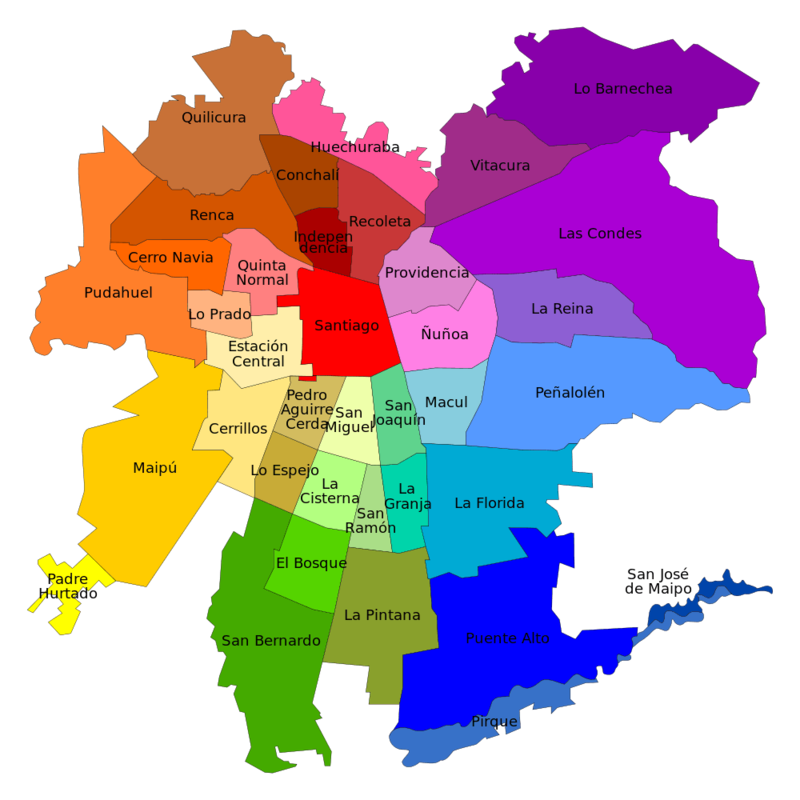 Santiago is divided up into 37 “comunas,” or neighborhoods. The “best” comunas are in the Northeastern sector of the city–La Reina, Las Condes, Vitacura, Lo Barnachea, and La Dehesa, a community so exclusive it isn’t even on the map. Hello readers! 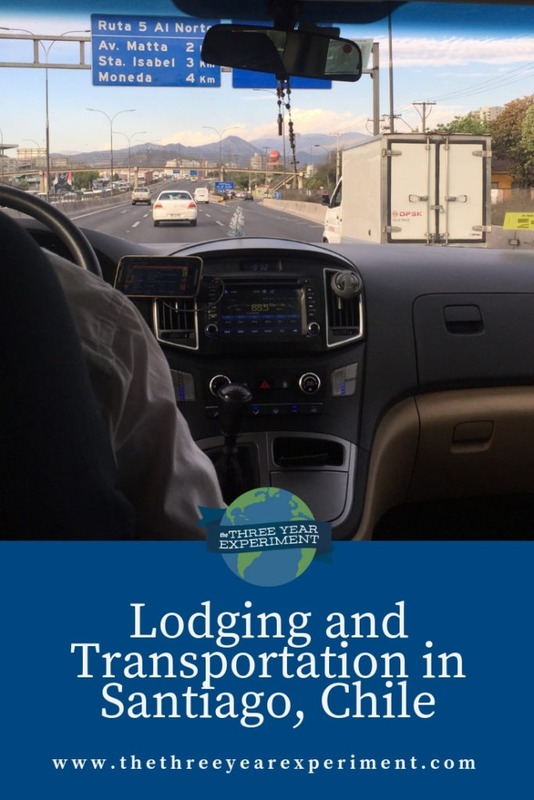 The ThreeYears are currently in Santiago, Chile, for Christmas and New Year’s. It’s summer here, so the weather is hot. Our family of four has been busy visiting family, traveling to the driest desert in the world, and generally enjoying ourselves. 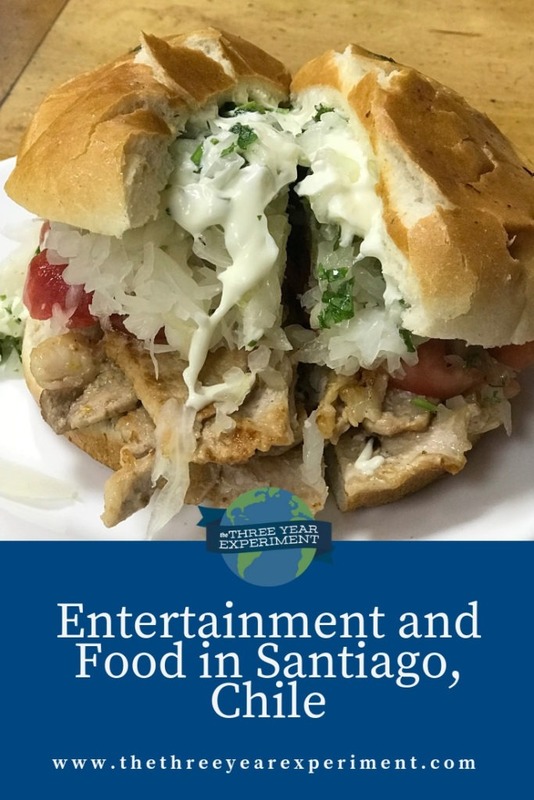 Santiago is a city of about 6 million people, roughly one third of the total population of the country, located in the very center of the long and narrow string bean that is Chile. It’s nestled in a valley between several mountain ranges–the Andes to the east (mountains known as the Precordillera–not quite as tall as the Cordillera of the Andes a few kilometers away) and the Chilean Coastal Range to the west. More mountains, a small range called the Cordón de Chacabuco, which is part of the Andes, are to the north, and to the south, there’s the Angustura de Paine, another thin mountain range that extends toward the coast. So there are giant mountains everywhere you turn. It’s one of the reason people hypothesize that Chileans are want to end so many words in “ito,” the Spanish ending that makes things little, because when you’re constantly staring at giant mountains everywhere you go, you feel smaller. Santiago is organized into neighborhoods, or comunas. There are 37 official comunas in the city, and some (the best neighborhoods) extend into the foothills of the mountains that surround the city. Those neighborhoods can get to around 1,000 meters in elevation. Santiago has a thriving economy that leads Latin America–its economy is the second most competitive in the region. The Economist Intelligence Unit ranked Santiago the second best city in which to live in Latin America, after Buenos Aires.